Our very first partner in Hope. 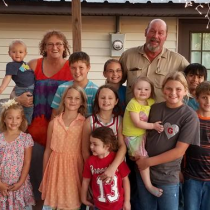 Stars of HOPE® became a reality in 2007 when the Vincent family of Groesbeck, Texas decided to pay it forward for all the love they received from New York Says Thank You Foundation volunteers who helped rebuild their family’s home following a deadly tornado. Their first pay it forward project was simple: empower 220 children in Greensburg, Kansas to bring HOPE and color back to their tornado ravaged town by painting inspirational words, messages, and designs on 1′ wooden stars. These stars were then planted on every street corner in Greensburg, Kansas, a town 95% destroyed by an EF-5 tornado. 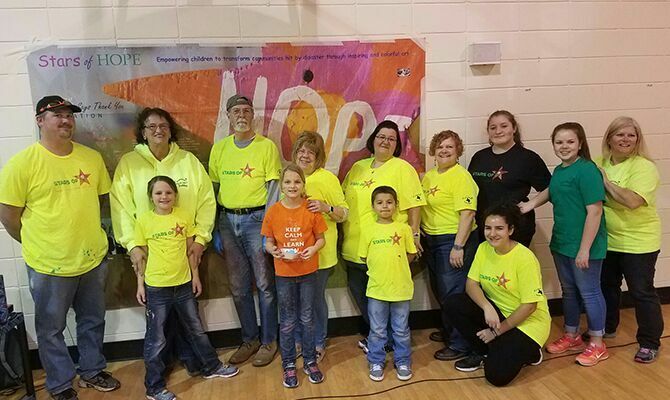 The Stars of HOPE transformed the physical and emotional landscape of Greensburg overnight. From Groesbeck Texas, Debbie Vincent and her amazing family of volunteers, run the Stars of HOPE workshops where the stars are lovingly hand cut, prayed over and base painted for schools and communities to paint and message all over the country.